Book some lessons with an Extra Innings professional instructor and get tuned up for the rest of your season! Extra Innings is recognized as the premiere indoor baseball and softball organization dedicated to fulfilling the needs of players of all ages and abilities. Extra Innings - Join the Fun! Sign up for a camp, clinic, or league today!! Welcome to Extra Innings! Get social on Facebook, Twitter, Instagram, Google+ and Youtube. Good luck this season to all our customers in 2017!! Stay tuned up and visit Extra Innings often. Extra Innings Pro Shop Try Before You Buy! Every Player is Different. Stop by an Extra Innings Pro Shop and learn what the right baseball and softball equipment is for you. Practice, practice, practice! 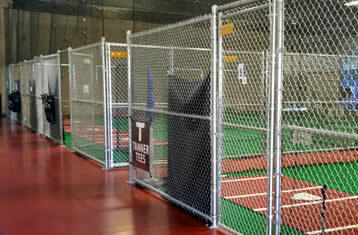 Our indoor batting cages allow you to practice or enjoy a fun night out all year round! Let our softball training staff improve your swing and hit more line drives. 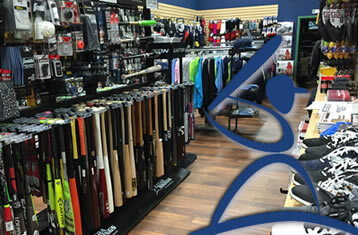 Extra Innings offers the latest and widest selection of baseball and softball goods at the best possible prices. Find top brands like Nike, Easton, New Balance, Wilson/DeMarini, Louisville Slugger, Rawlings, Mizuno, Worth, Marucci and our own Extra Innings "Play the Game." Extra Innings is recognized as the nation’s premier indoor baseball and softball training center, providing state-of-the-art practice facilities, professional instruction and a nationally recognized Pro Shop to fulfill the needs of players of all ages and ability levels. The Extra Innings business model works because it provides you with a proven system for establishing a successful sports and recreation based business. All franchisees receive bulk discounts, buying power and key corporate partnerships necessary to excel. New Year | New Gear!! Check out our all ‎NEW‬ Stickman Shop for all your ‪‎Extra Innings‬ gear! Find great deals on Marucci wood bats, uniform pants, batting gloves, t-shirts and hats. Find great deals all season long. More gear to come so check back all season! Established in 1996, Extra Innings is recognized as the nation’s premier indoor baseball and softball training center, providing state-of-the-art practice facilities, professional instruction and a nationally recognized Pro Shop to fulfill the needs of players of all ages and ability levels in a fun, family atmosphere. Extra Innings: Coming Soon to the Pittsburgh Metro Area! Camps are our favorite, always a fun time for the kids and they learn a lot from the coaches! They have it all, Five stars for Extra Innings!! 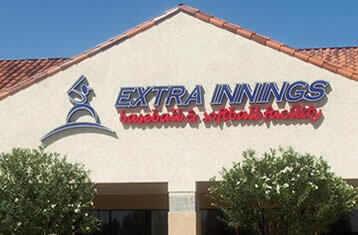 We have been going to Extra Innings for years, great customer service and excellent instructors. Only place to go to buy equipment. Talk with a staff member if you have questions on what product is the best buy for your child and budget, really good advice. A little piece of softball heaven.. makes it possible to be a year round sport.